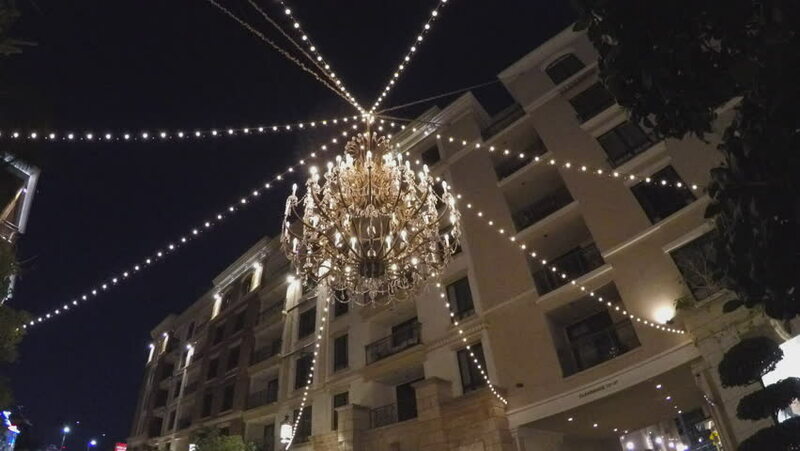 GLENDALE, CA/USA: February 21, 2016- A close up low angle shot shows an elaborate and sparkling chandelier over a street at night in Glendale California. Fancy outdoor lighting is an unusual sight. hd00:15Edirne - Turkey, 10 february 2017, city view and mosque, Edirne Turkey. 4k00:12TORONTO, CANADA - AUGUST 2015: Chain swing ride at amusement park at night. 4K UHD.